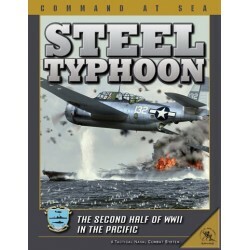 Building on Clash of Arms' critically acclaimed "The Rising Sun" Steel Typhoon features 36 scenarios covering the biggest and most famous naval battles of WWII inthe Pacific: Rabaul, Truk, the Marianas, Leyte and Okinawa plus hypothetical scenarios that challenge the players with historical alternatives! 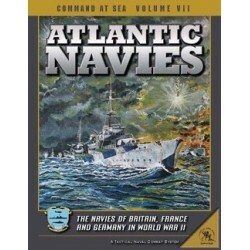 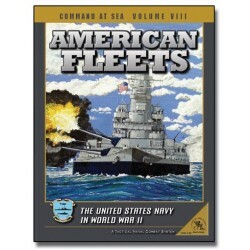 Designed specifically for the Command at Sea 4th edition rules, Steel Typhoon, along with the data supplements "American Fleets" and "The Emperor's Fleet" completes the picture of the USN versus the IJN in the Pacific Theater during the latter half of World War II. 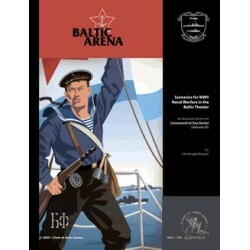 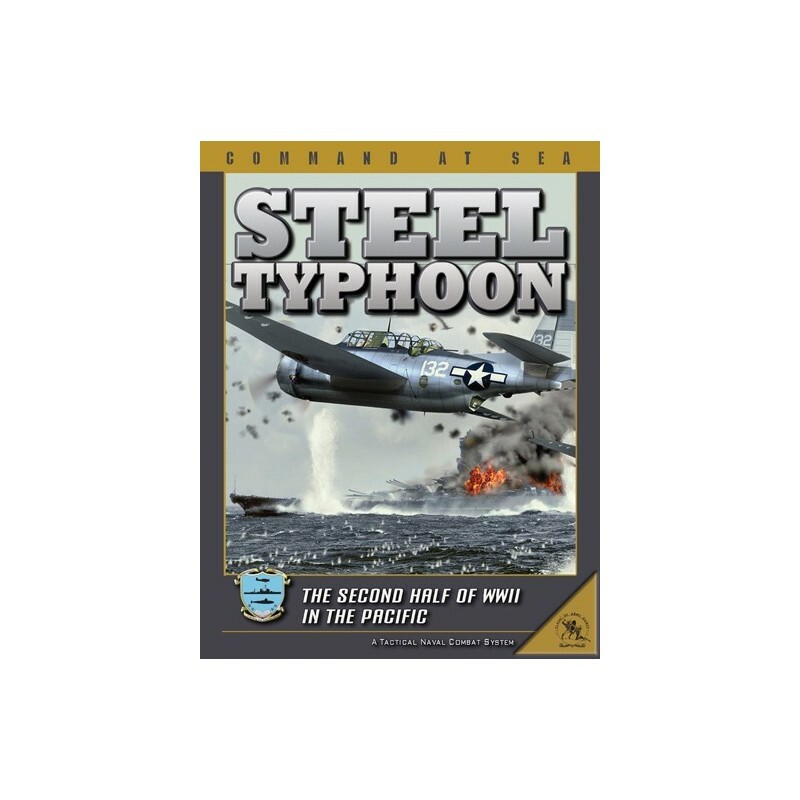 Steel Typhoon includes three full-color countersheets with all the ships, aircraft and game markers to make the Pacific War come to life on your tabletop. 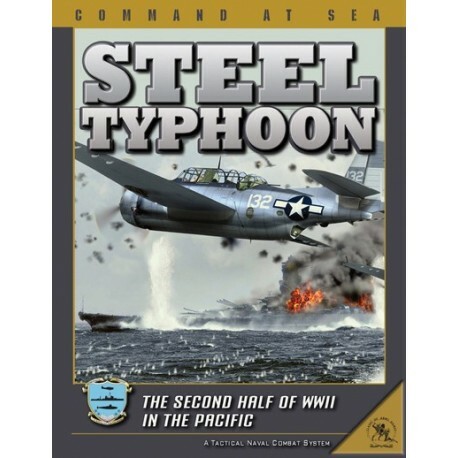 Designed by Ed Kettler, Steel Typhoon is the culmination of over a decade of research and testing. 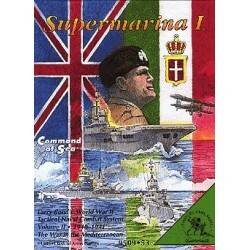 Un jeu énorme mais également une vraie mine d'informations sur les marines françaises, britanniques et Allemandes de la seconde guerre mondiale.